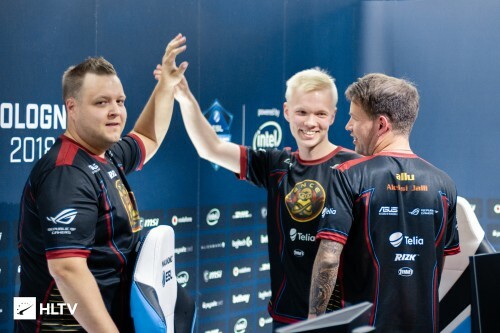 ENCE is worse than NiP or FaZe? Delusional af. We will wait and see how the teams perform over the next few days but simple observations tell me that FaZe and NiP are inferior to ENCE. We'll have to see. NiP has seemed quite ok with draken but FaZe is not looking good especially after how niko arrived late to Sao Paulo. They beat FaZe but that's expected tbh. I only see them winning 1 more match if any. Would be epic, would love to see the tears in the crowd. I'm evil I know. Very possible but I would still take NiP or FaZe for 0-5, because they are not rly in a good form. People forgetting ence has always been a lan team. I think faze they look like they are in shambles atm. what? thats a group stage with 5 matches, if team will lose them all they will have 0-5 result as you said, "your brain is 0-5"
who do u think faze can beat?